Like many students on campus, the Wesleyan men’s basketball team didn’t stop the grind over President’s Day weekend. 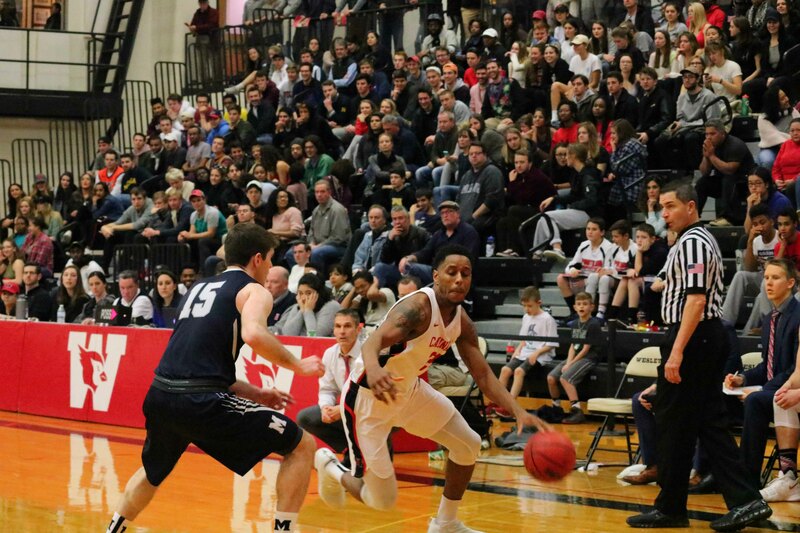 The team came out on top in a matchup against the Middlebury Panthers in the quarterfinal round of the NESCAC tournament. 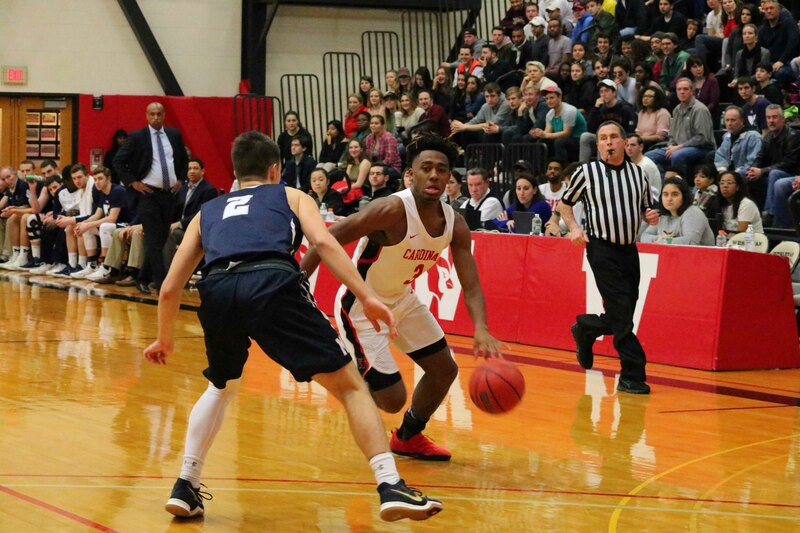 Claiming a 73-65 win, the Cardinals captured the victory with a strong second half led by standout players Kevin O’Brien ’19, Jordan Bonner ’19, and Jordan Sears ’18. 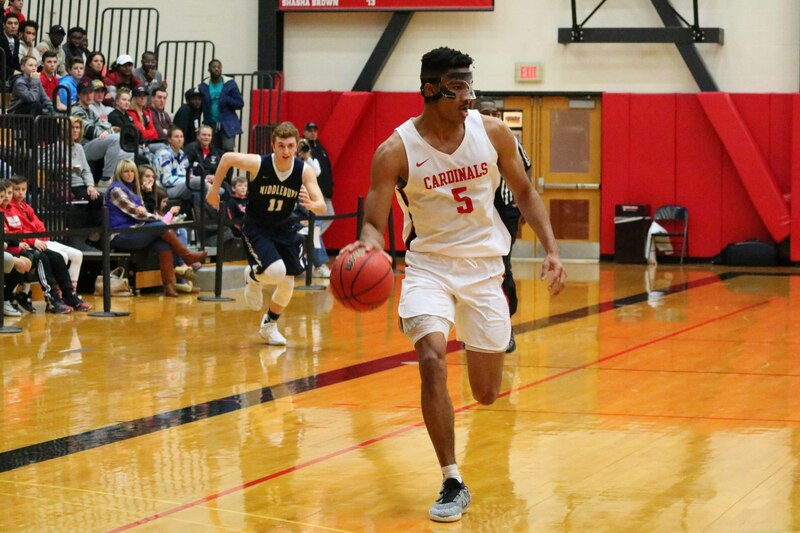 After being down 32-28 to end the first half, the Cards executed all around in the second, outscoring Middlebury 45-33 to take the eight-point victory. It’s understandable why the players might have some jitters going into the game. This was a Division III top-25 matchup as the 17th ranked Cards were hosting the 13th ranked Panthers. In addition, the team lost their home quarterfinal matchup last year in the NESCAC tournament. This is a game the team could hang their hat on if they were satisfied just to advance to the NESCAC semifinals. However, the team has maintained that they have bigger aspirations this year, from winning the NESCAC title to making the NCAA tournament and advancing in that. 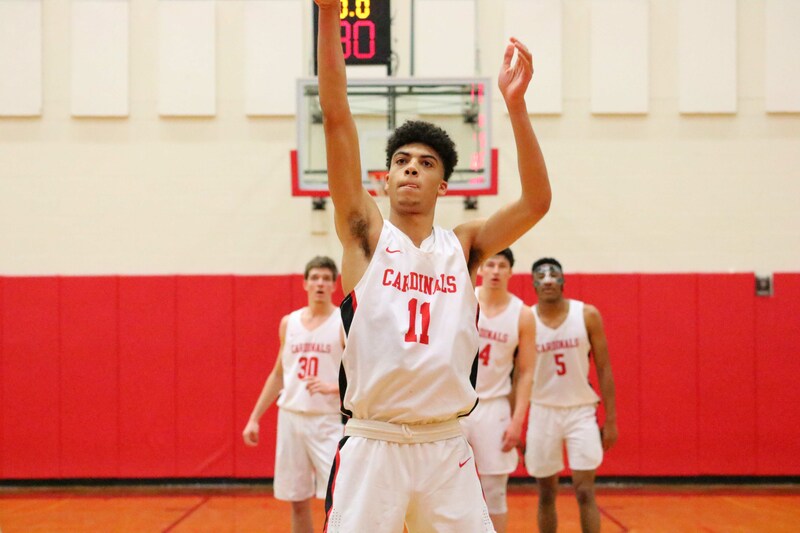 The Cardinals were led by Sears, a senior captain with a defensive presence, along with two strong juniors in O’Brien and Jordan Bonner. Bonner, back on the court after a bout with mono, is back and playing at peak level. The Tucson, Ariz. product is a true stat-sheet stuffer. This was certainly the case in the game where he had 17 points on 7-14 shooting, along with grabbing nine rebounds, dishing seven assists, and collecting two steals. 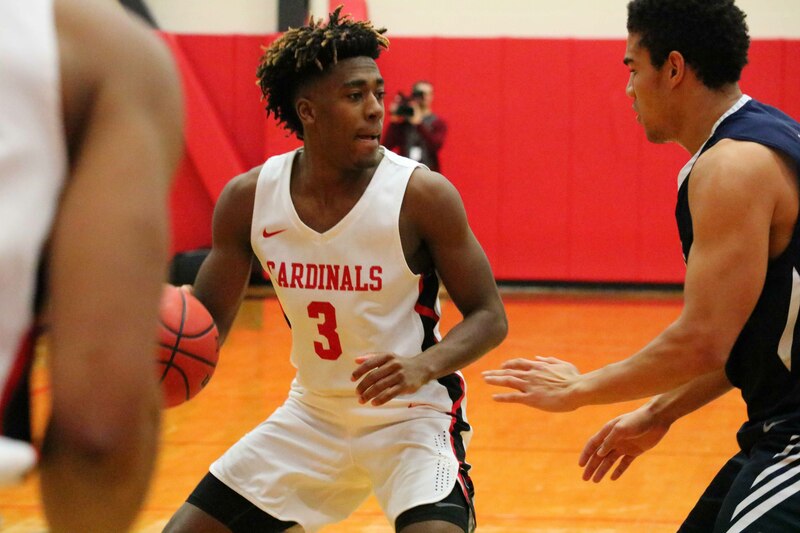 His flirtations with a triple-double and the way he was able to push pace and score driving layups make him one of the Cardinals’ standout players. Bonner, who has been leading the team in scoring the whole season, had a game that represented much of what he has been about this season. He scored 18 points while knocking down two threes, and going eight for eight at the free throw line. Bonner wasn’t his normal efficient self as he only shot 33.3 percent from the field. This was emblematic of some of the struggles the Cardinals faced in this tough game. “I thought we gutted it out. I thought it was defensive resilience. Things didn’t come easy for us offensively, but I thought we got it done on defense and by rebounding the ball,” Coach Reilly said. 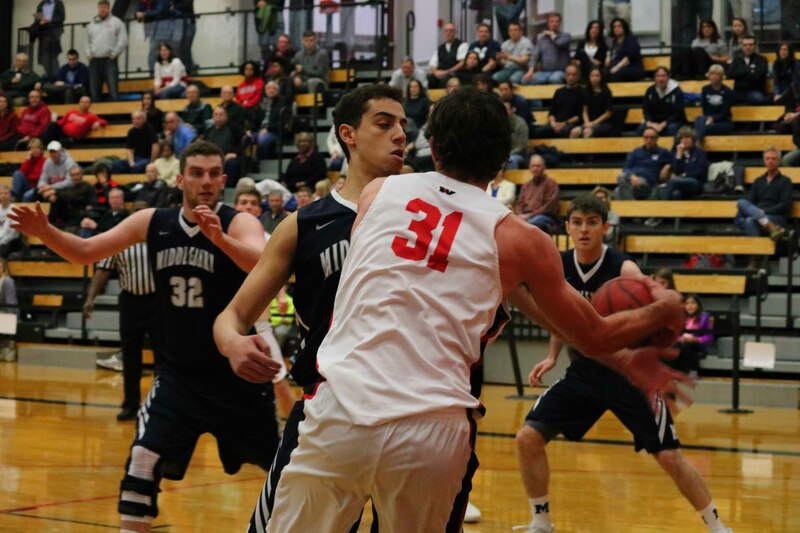 Sears was at the front of this defensive excellence, taking eight blocks, including two in a row late in the second half that were crushing in Middlebury’s attempts for a comeback. The Cards want to continue the success they found in this game as they move into the postseason. Next Saturday, they travel to Amherst, Mass. for the NESCAC semifinals and hopefully the finals. The team faces Little Three rival Amherst and the tournament’s first seed after a wonky five-way tie for first place gave Mammoths the top spot. 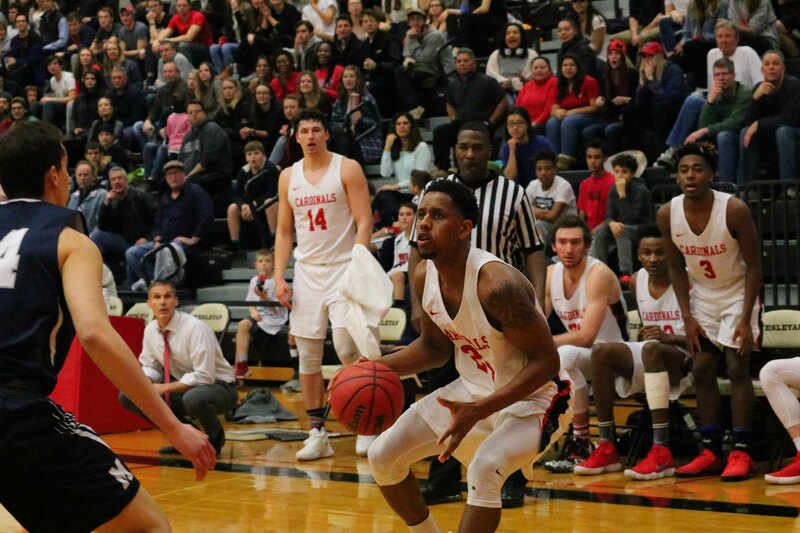 The Cardinals have found success against their rivals this season, defeating them 70-66 in conference play and 71-57 in a non-conference matchup. However, everything changes in the playoffs, especially when playing in such a competitive conference like the NESCAC and when facing off against a rival. Coach Reilly hopes to win and keep going with a balanced effort. The Cardinals are gonna have a difficult matchup with the Mammoths, especially because Amherst is hosting the tournament semifinals and finals. They will have a home-court advantage that the Cards will surely miss. “We were happy to be at home, in front of our home crowd,” Coach Reilly said, speaking this past Saturday’s game. The energy provided by the crowd clearly boosted the players’ excitement and performance as the game went along to the contentious second half. Hopefully, this momentum will continue into the weekend as the Cardinals take on Amherst on Saturday, Feb. 24. If they claim the Little Three victory, the Red and Black will make their first NESCAC finals appearance since 2015. Emilio Weber can be reached at ejweber@wesleyan.edu.